Eighty-year-old Carrie Watts is hilarious and crafty, frail and unexpectedly tough. 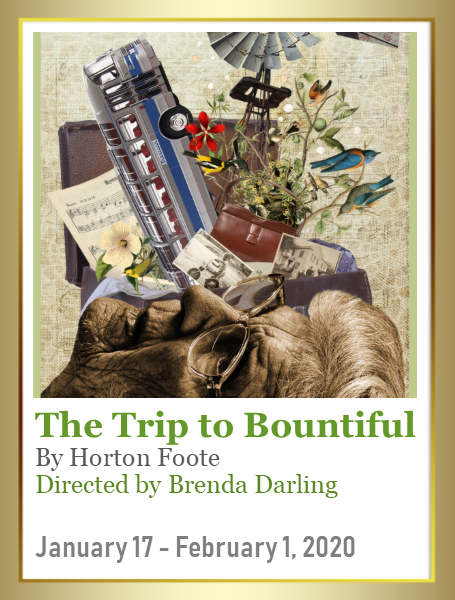 Having spent her twilight years with her son and his abusive wife, she plans her getaway to Bountiful, her increasingly idealized hometown. This multi-award winning story has won acclaim on Broadway, in film and as a TV movie. It’ll break your heart and bring you to laughter.